It is a great gift for everyone! Buy now to really impress! 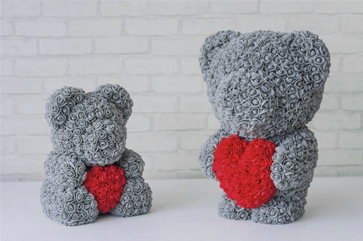 Are you looking for the perfect, sentimental gift that will last? Do you want to make a lasting impression with someone really special? 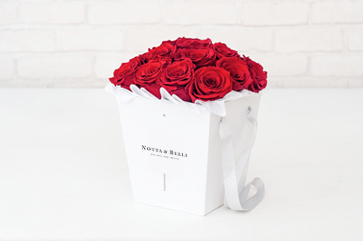 Then, the Forever Rose in a Glass Jar from Notta & Belle is the perfect gift that you have been looking for. Our Forever Rose will show your loved ones the value you place in your relationship with them, and they will cherish that feeling and moment for as long as our roses last! Everyone loves to receive flowers, so why not send one that will bring these precious memories back time and time again? 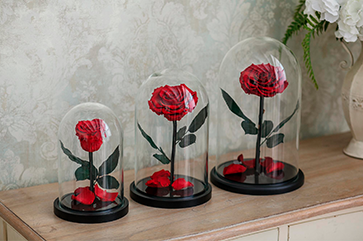 Notta & Belle’s Forever Rose in a jar is a gift that not only lasts. With ordinary flowers, you need to maintain them and care for them, water them and move them to and from sunlight. With our Forever Rose, you won’t need to do any work to keep them alive. They will stay alive for years to come with no watering or moving them. Because of the safe and special treatment they go through to ensure lasting quality, we only ask that you leave them out of sunlight. 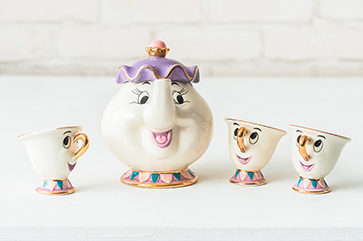 The glass jar that surrounds them ensures that dust and dirt won’t fall on them, however you are able to remove the glass if you would like to do so. You get to choose the color of your rose, and then you can select any personal engraving you’d like. It is truly a special gift for all that will make them feel like the only one in the world.